The growing coffee culture in Perth has given rise to a multitude of cafes popping up around every nook and corner. When browsing through the city, you couldn’t go a hundred yards without stumbling upon an Espresso Bar or an independently owned cafe. 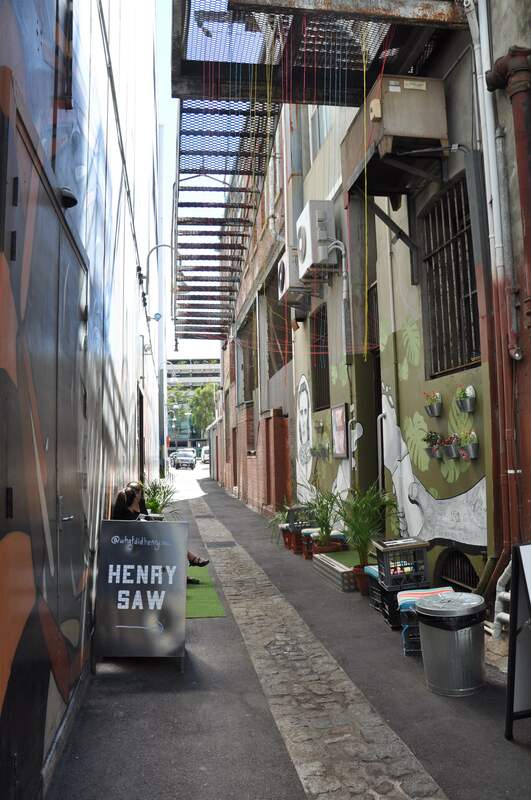 Hidden away down the alleyway along Grand Lane, in the heart of Perth CBD, is this quaint and quirky coffee shop, Henry Saw. Henry Saw is a partnership between two visionaries who have had a life long passion to create a leisurely space to enjoy coffee, music and chills. Jimmy from Babushka and Toby from lots of places including the infamous, now long-gone Likt Espresso, wanted to bring Melbourne laneway vibes to Perth CBD. On account of the growing vegan population in Perth and the lack of available options, Toby and Jimmy decided to cater to this niche market. The cafe beckons customers with the delicious aroma of their gourmet vegan pies, tasty wraps and Blacklist coffee. Henry Saw also serves freshly-made smoothies to cool you down in the Perth summer heat. They’re going to launch their exciting vegan breakfast range this February. What differentiates this cafe from others out there is the fact that they share their space with the Museum of Perth. They’ve tried to incorporate hipster vibes into their cafe, so when you walk in, you are literally seated amongst numerous works of art and amazing pieces of history. Behind the hustle and bustle of the baristas, lies a small cinema within the museum. A perfect getaway from mundane activities! Check them out on Facebook and Instagram! Henry Saw is located in Grand Lane, Perth CBD and open Mon-Fri 7am-3pm, and Sat 8am-3pm.